Utah car transport shipments are primarily in the Salt Lake City region. Utah is bordered by Colorado to the east, Wyoming to the northeast, Idaho to the north, Nevada to the west and Arizona to the south. Technically, Utah also touches New Mexico, if ever so, at what is called the “four corners”. It is possible to place your right foot in Colorado, your left foot in New Mexico, your left-hand in Arizona and your right hand in Utah. Then proclaim yourself simultaneously in four states. Utah gets its name from the indigenous Native American tribe Ute. 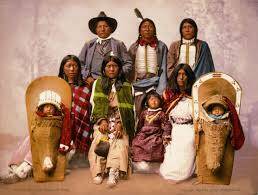 There are today only about 7,000 Ute Tribe Indians left. Ute by the way means “land of the sun”. Salt Lake City is the dominant area for Utah car transport. That’s because there are almost 3 million people in Utah and 80% of them, nearly 2.4 million people, live in the greater Salt Lake City area, otherwise known as the Wasatch front. So when it comes to shipping a car to Utah, it is Salt Lake City or bust. Utah is geographically the 13th largest state but the 10th least densely populated. Folks when it comes to shipping cars it is best to have a high concentration of people in an area because it becomes easier to amalgamate full loads of 8 to 10 cars. Today Utah is more famously known as home base for the Mormon religion. The founder of the Church of Latter-Day Saints (LDS) was Joseph Smith who died in 1844. His successor was Brigham Young, who led Mormons westward until they finally settled in Utah in 1847 and were at last left alone. There are approximately 1.8 million Mormons in the state of Utah, which accounts for nearly 62% of the total population. While no state is ostensibly a religious state as America is secular, nevertheless Utah is commonly regarded as a Mormon state. 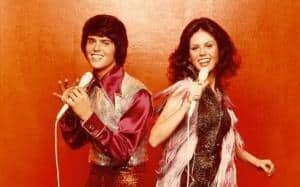 Two of the most famous Mormons today are former Massachusetts governor and 2012 presidential candidate Mitt Romney, former San Francisco 49ers quarterback Steve Young, a descendent of Brigham Young, and of course the very popular singers Donny Osmond and his sister Marie Osmond. Would we like to ship their cars? You bet! How Hard Is Utah Car Transport? But really now … what are the logistical hurdles shipping a car to Utah? Fortunately Salt Lake City, where most of the people reside, has Interstate 80 (I-80), which runs east to west across the USA and right through SLC. Combined with its high population, Salt Lake City then becomes a very desirable place to ship a car either to or from. Elsewhere in the state it becomes much more problematic. If you are shipping a car to the Midwest, New England, Eastern seaboard or Southern states, Salt Lake City is your best bet. If you are trying to do that farther south in Utah in places like Richfield, Cedar City, Hurricane or St. George, you may find yourself waiting a little bit longer for a Utah car transport carrier going that way. Dems the breaks sorry to tell you. Regionally, however, a lot of those same places are not so difficult in combination with places like Las Vegas, the Los Angeles basin, San Diego and the San Francisco Bay Area. 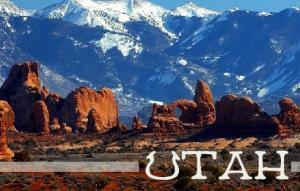 It is our experience that southern Utah is for the most part fine within several hundred miles of it. Only when the auto transport is over 1000 miles, and especially from the East Coast, the southern parts of Utah become such a problem. Another great thing regionally is Salt Lake City’s proximity to the Idaho towns of Pocatello and Idaho Falls, where Interstate 15 (I-15) and Interstate 84 (I-84) dive southward past Logan, Ogden and into Salt Lake City. And let’s not forget that Interstate 70 (I-70) spears Utah right in the middle from Colorado before dumping into Richfield and Interstate 15. One of the most popular things to do in Utah is attend a Utah Jazz NBA game. For a while there in the 1990’s, the Utah Jazz were one of the best teams. 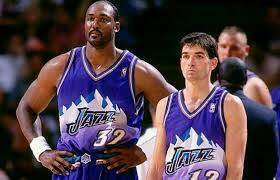 Point guard John Stockton and power forward Karl Malone formed one of the best pick and roll combinations in basketball history. They were simply unstoppable. Everybody recognizes Malone today on the street, and even though Stockton holds the record for the most assist in NBA history, few people recognize him. To his credit John Stockton thinks that’s funny. Believe you me … we would love to ship Stockton and Malone’s cars. That reminds us … did you know that Direct Express Auto Transport originated the instant online Utah car transport quote calculator? Yes sir and yes ma’am we did! Others have tried to copy it but have come up woefully short. Our car transport quote calculator rewards Salt Lake City with very competitive auto shipping quotes and adjusts appropriately for those areas south to make it easier to ship your car. You can visit Direct Express Auto Transport to fill out a simple form and get a free car shipping quote. We make it easy to book your vehicle shipment online.